Aside from China, nearly all the states in Asia make use of the trappings of democracy, such as elections, parliaments, and the separation of powers. 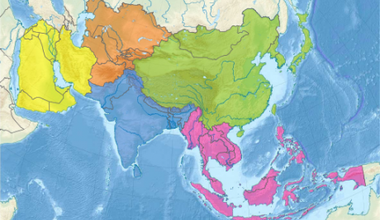 A new report examines the future of democracy in Asia in the next 15 years. The terrifying spectre in these countries is not of ravenous foreign capital, though there is plenty of experience with this too, but of the persistent suffering of being an oft bloodied geopolitical borderland. Hong Kong has long been seen as the testing ground for peaceful absorption of a democratic territory into the People’s Republic of China. This could be the last straw that broke the camel’s back. 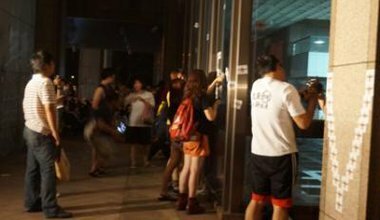 The ongoing protests in Taiwan over the land grabbing of rural farmland by the government have experienced a recent, rapid escalation. The Taiwanese government’s current reactive policy-making is providing a masterclass in disastrous public relations. 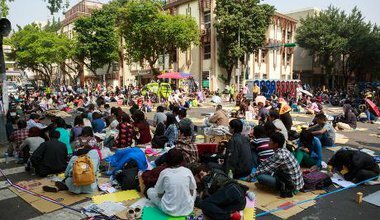 This month has seen up to 250,000 Taiwanese protesters demand greater military transparency. 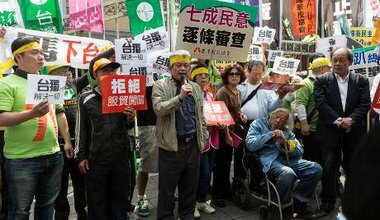 Pressure on the Taiwanese government to investigate the problem of abuse within the military is reaching a critical point. Taiwan's presidential election saw the incumbent Ma Ying-jeou win another four-year term in office over his opponent Tsai Ing-wen. But the interpretation of this outcome by Washington and Beijing misses an important dimension of Taiwan's political reality. Their flawed understanding could have damaging consequences over the next four years, say LC Russell Hsiao & Hsin-Huang Michael Hsiao. Hizbollah upgrades its military capability as Israel is accused of assassinating a senior Hamas commander. indigenous leaders are attacked in Bangladesh. Obama approves arms sales to Taiwan. The US Senate backs tougher sanctions against Iran. All this and more in today’s security update. Haiti announces that 400,000 people made homeless in last week’s earthquake are to be relocated outside the capital as the situation on the ground begins to slowly improve. The president of Afghanistan unveils a plan aimed to attract Taliban insurgents to the side of the Afghan government. The US and EU announce a united front in responding to the continuing standoff surrounding Iran’s nuclear programme. All this and more in today’s security briefing.